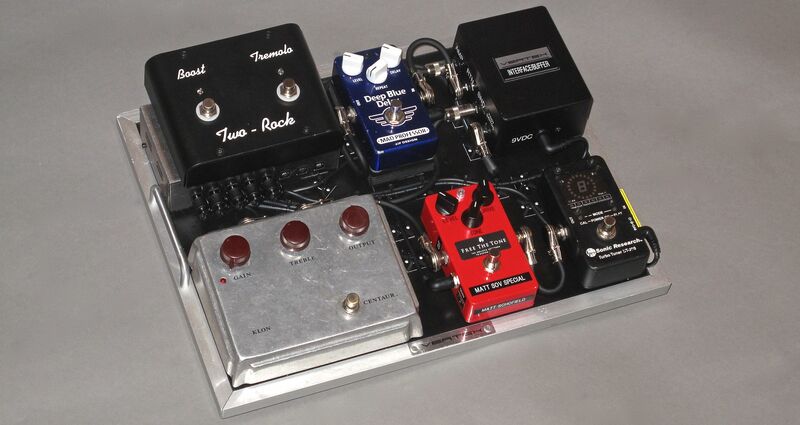 Here's an update to Matt's first Vertex board which includes his new signature prototype FTT SOV-2 Overdrive and integrates the footswitch for his signature Two-Rock amp. 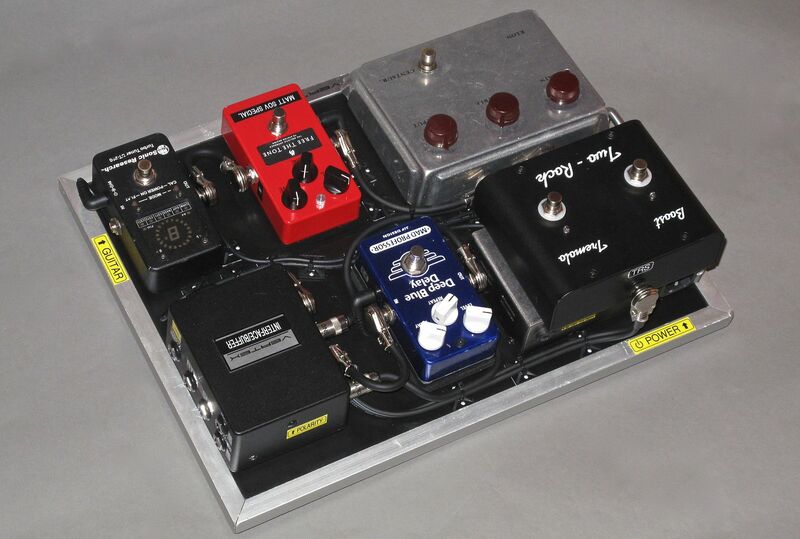 Insert "Break-Out" to place the Wah pedal after the overdrive pedals and before the delay, but off of the pedalboard (when the Wah is not plugged into the interface the insert is normalized and continues the signal path to the next pedal in-line), Vertex Output Buffer w/splitter to send the signal to two amplifiers (one output is transformer isolated with a polarity switch). 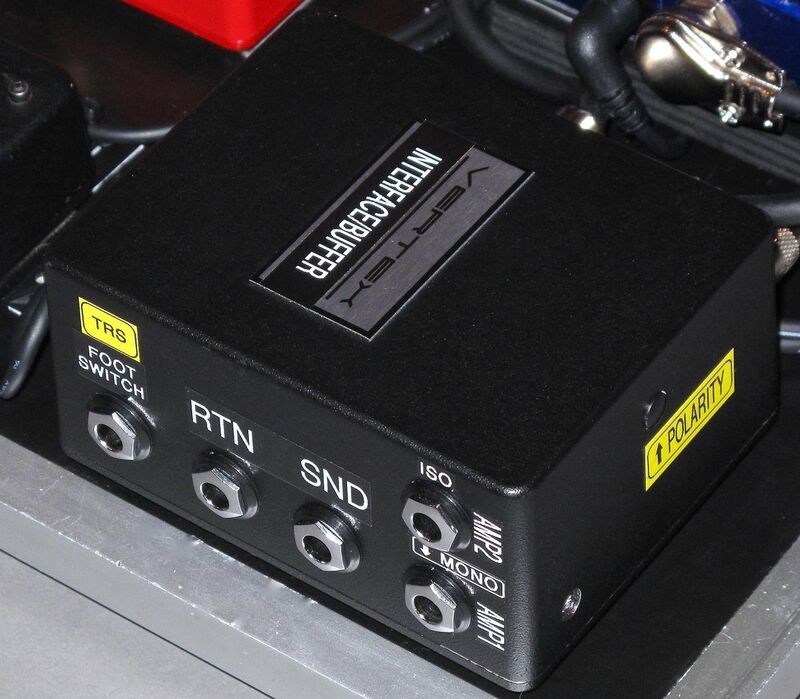 There is also an additional TRS pass-through for the amp footswitch. Vertex Modded Power Supply. Gutted an older Pedal Power unit and used a new transformer that could auto-sense voltage so Matt could use the pedalboard anywhere in the world without having to change the power supply. The new transformer and modification allows for 8 isolated outputs with 5x 9VDC outs, 2x 18VDC out, and 1x 12VDC out. Sonic Research Turbo Tuner, Free The Tone SOV (Matt Schofield Prototype), Klon Centaur, Interface (break-out inset for Vertex Axis Wah), Mad Professor Deep Blue Delay, Interface (dual output buffer/splitter to two amplifiers with an isolation transformer and a polarity switch on one amp).